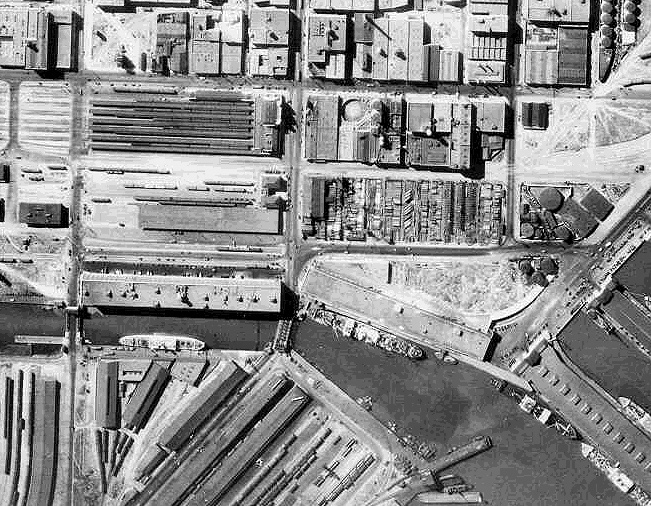 1938 aerial photo of Mission Creek mouth. Mission Creek is at the bottom; the SP Station is visible in the center. Townsend is the horizontal street at the top. Third Street runs vertically in the middle of the picture. The new Giants PacBell Ballpark is located on the right (east) of Third Street, just above the bridge over Mission Creek. 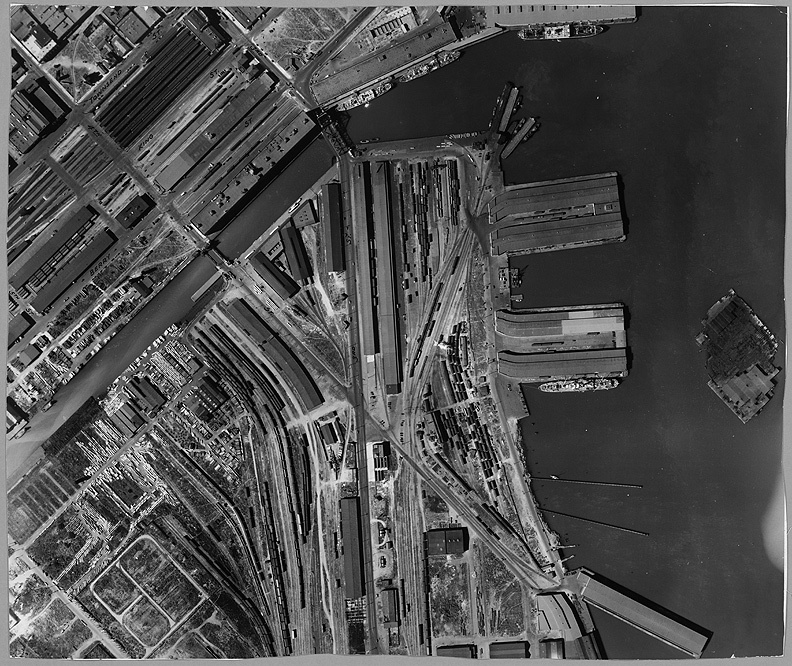 Larger area from same set of 1938 aerial images, with Mission Rock still offshore from Pier 50 where it would remain until the late 1940s.